The Markaziy Hotel offers 251 beautifully furnished Guest Rooms, including 7 fully equipped Executive Suites and an elegant Presidential Suite. An additional level of service and luxury is available on the Towers Level. 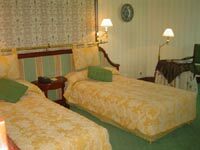 The Hotel is also pleased to offer handicapped access and non-smoking rooms. 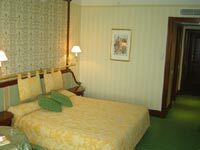 Each of the Markaziy's spacious guest rooms features tasteful decor and comfortable furnishings. A large desk and luxurious bed provide an ideal environment for both work and relaxation. Note: Accommodation rates include cost of buffet breakfast.